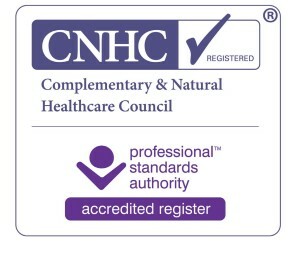 Are you interested in knowing your homocysteine level? Are you worried about your homocysteine levels? Homocysteine is a naturally occurring amino acid produced as part of the body’s methylation process. Knowing your homocysteine level can be an indicator of risk for CVD, depression, breast and colon cancer, Alzheimer’s Disease or dementia. Homocysteine levels have been shown to be a better predictor of cardiovascular disease than cholesterol levels according to a study in the British Medical Journal. Women with high homocysteine levels find it harder to conceive and carry a pregnancy to term. Making adjustments to your diet to increase ‘B’ vitamins such as B12, B6 and folic acid, can improve the metabolic pathways involved in methylation and homocysteine detoxification and therefor your health risks. Your genetic make-up can cause you to require much more of a particular nutrient such as folate than someone else in order for you to be healthy and will put you at a much higher risk of high homocysteine levels unless you compensate for it. Knowing your homocysteine level can help flag-up future health issues especially if you have a poor diet and don’t make the best lifestyle choices! 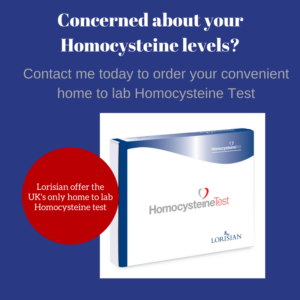 Whilst you can do an at home test for homocysteine levels, I would suggest you have a consultation prior to rushing ahead to confirm if it is right for you!